Hello my dears!! Hope everyone had a memorable New Year Eve celebration, and are all geared to start 2015 on a high note! It feels funny to start the new year in the middle of the week, but there’s no better time to admire the gorgeous Spring 2015 collection from Chanel! 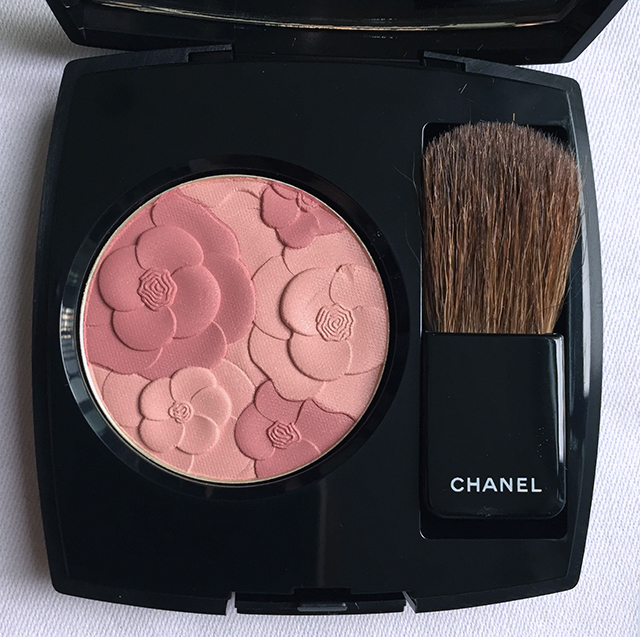 Chanel Reverie Parisienne Spring 2015 was inspired by the springtime gardens of Paris, and was the most anticipated collection for me this season thanks to that blush! 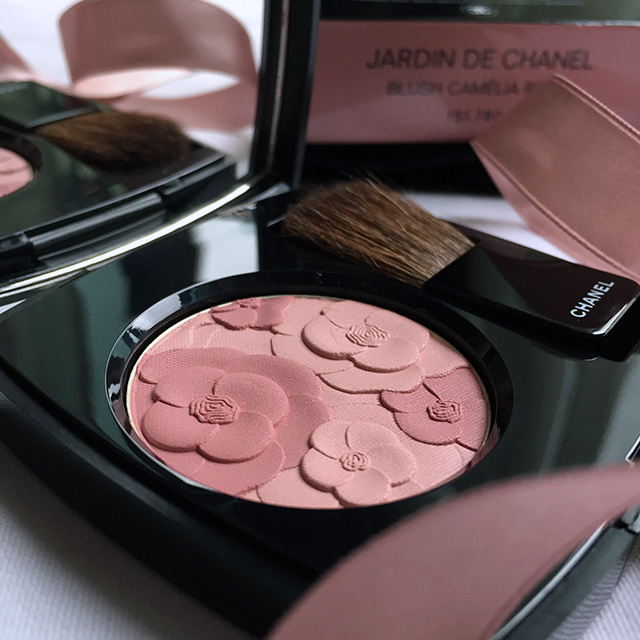 Chanel Jardin de Chanel Blush Camelia Rose features a beautiful 3-dimensional floral sculpture on the surface of the pan. It is not a mere embossing like in past seasons (e.g. Chanel Jardin de Camelias Illumination Powder and Dentelle Precieuse Illuminating Powder), and will hopefully last longer with use. Blush Camelia Rose contains 2 shades of pink – a medium baby pink with a matte finish and a slightly darker, warmer rosy pink with a satin finish and some sparse shimmers. The differences in color serves more as a visually pleasing contrasting design, and the blush is meant to be worn swirled together. It would be quite impossible to pick up the colors separately since the blush pan is smaller than the regular joues contraste blushes. The resultant shade on my skin is a medium neutral pink with a semi-matte finish and slight bits of shimmers. Apart from the gorgeous intricate design, Blush Camelia Rose is rather unremarkable and highly dupeable. 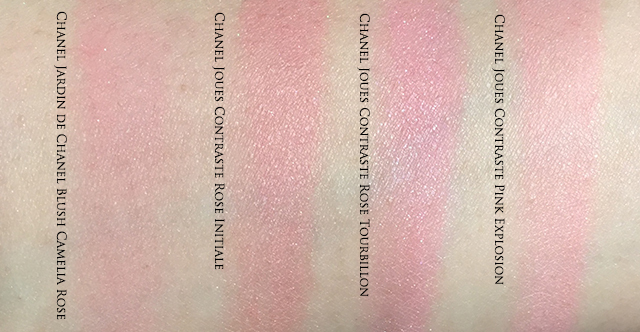 As you can see from the comparison swatches above, there are several pinks in the Chanel Joues Contraste family although there are slight differences. Rose Initiale is warmer and carries more shimmers; Rose Tourbillon is much cooler with strong blue-tinge and very shimmery; Pink Explosion is less pink than Rose Tourbillon but still cooler than Camelia Rose. Amongst all the Joues Contraste blushes swatched here, Blush Camelia Rose is the sheerest, and took several swipes to get the level of pigmentation shown above. It is also more expensive at USD55 for 3gm of product versus USD45 for 6.3gm for a regular JC blush. 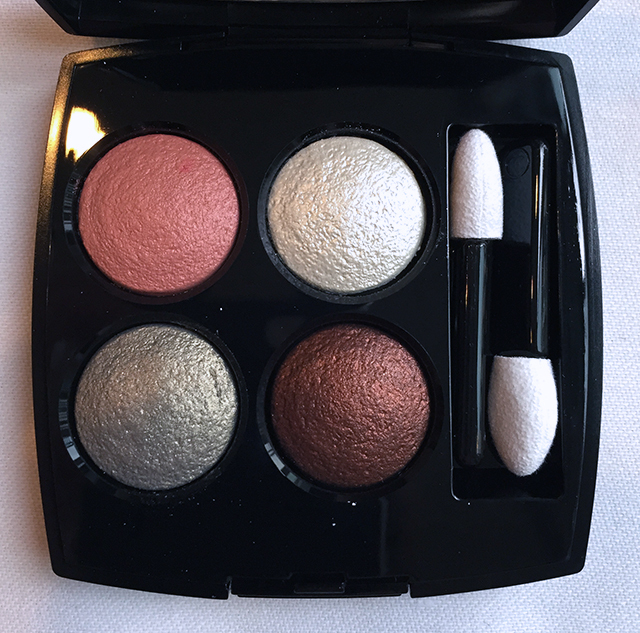 Chanel released 2 Les 4 Ombres eyeshadow palettes this spring, and I was pleasantly surprised to find that even though they were both pink-themed as expected, they were also quite smokey with the potential to build up for some spring-time drama. I was most drawn to Tisse Fantaisie (#236) for its interesting mix of warm-toned hues. Lovely as Tisse Fantaisie is, and it swatches beautifully on my arm, I couldn’t seem to achieve the same color intensity on my lids. And when layered with each other, it turns a murky grey. The bronze and sage green work best on my lids, but I had a lot of difficulty getting the coral to show up. The frosty white is easily distinguishable due to the strong sheen, but it’s also great to pat just a bit of it over the middle of the eye for some added dimension. And here is how Tisse Fantaisie looks on me. As you can see, the coral turns murky on me, and it is not due to dirty brushes! The green and bronze do show up beautifully, and I’ve also added a dash of white over the center of my lids for dimension. I also managed to swatch Tisse Paris (#238) for your reference. 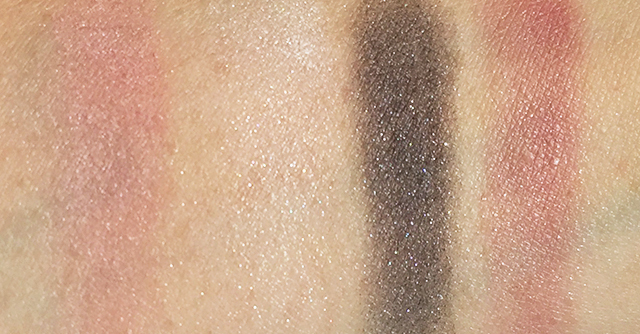 Bottom right – deep black with multi-colored shimmers. This shade has been described as dark gray and even navy by other reviewers, but to my eyes, and against my yellow-toned skin, it is decidedly black. 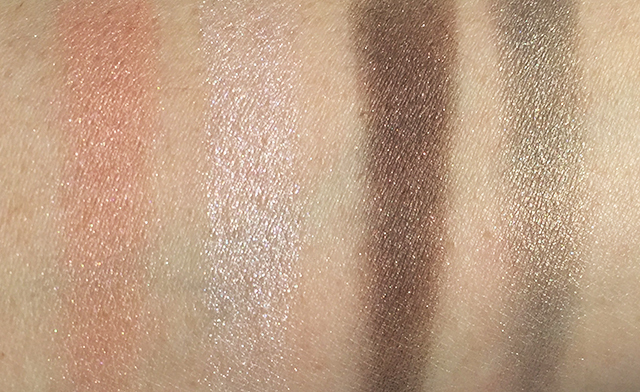 My initial impressions when swatching Tisse Paris were that it was not the same level of pigmentation that I had come to expect from the Les 4 Ombres family. In fact, it was all rather sheer and took many swipes to get to the level of color intensity shown above. On the other hand, that bottom right shimmery black surprised me by how beautiful and bold it is, making Tisse Paris much more interesting than I had initially expected. 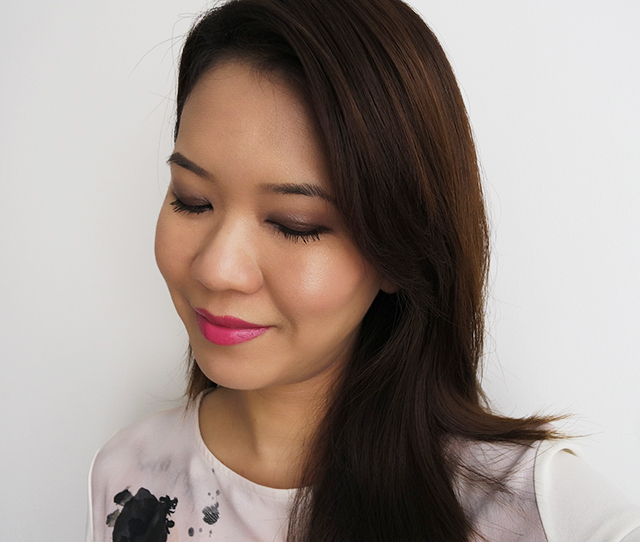 Here is a spring-themed look featuring Tisse Fantaisie on eyes, and Blush Camelia Rose on cheeks. For this look, I’m wearing Strivectin CC cream and Shu Uemura Oleo-Pact as base on the face. Followed by Surratt Diaphane Loose Powder Compact to set. Chanel Les 4 Ombres Tisse Fantaisie on eyes, and Chanel Jardin de Chanel Blush Camelia Rose on cheeks. Cle de Peau Luminizing Face Enhancer #14 on top of cheek bones and down the nose ridge to highlight, and Surratt Artistique Blush in Grisaille under the cheekbones and along jawline to contour. 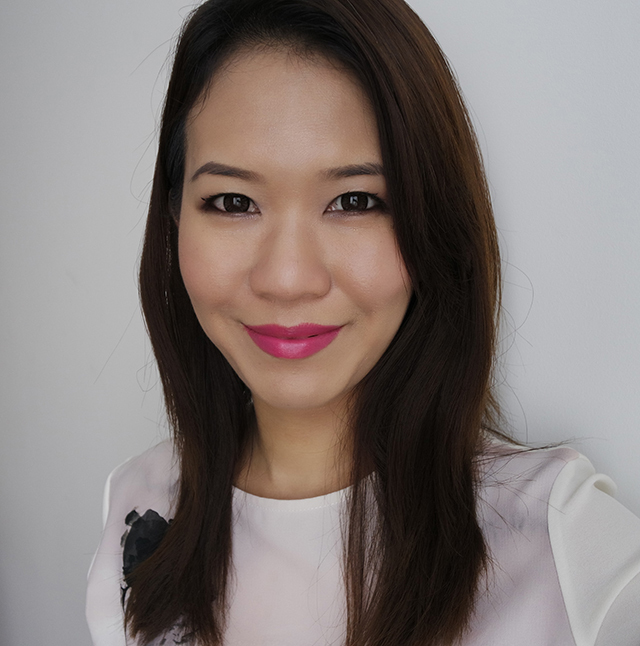 Estee Lauder Pure Color Envy Sculpting Lipstick in Infamous in lips. For this look, I wore Tisse Fantaisie differently. 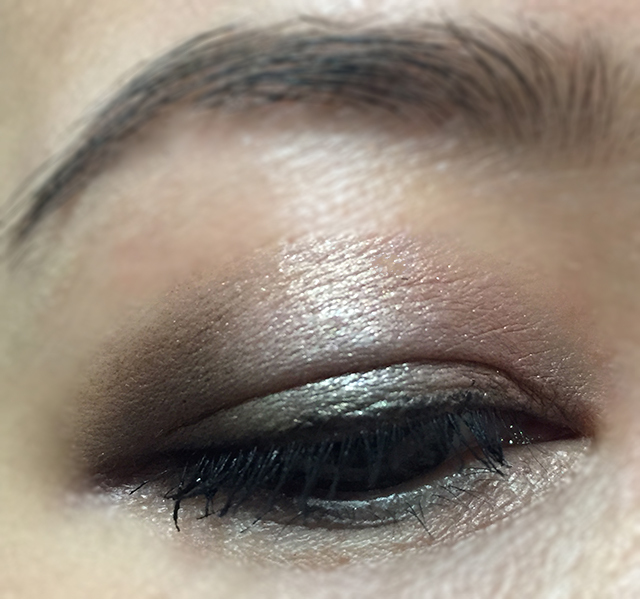 I first applied the bronze shade all over the lid from the lash line up to mid-lid. Thereafter, I blended the green on top from inner corner to about 3/4 out. Dabbed on the shimmery white over the green to lighten it further and bring out the color. Finally, I applied coral in the crease and blended. Both Tisse Fantaisie and Tisse Paris are priced at USD61, which is the same as the regular Les 4 Ombres. Tisse Fantaisie is listed as a limited edition palette on Chanel.com whilst Tisse Paris (#238) looks like it may be joining the permanent collection. Overall, a very visually exciting collection from Chanel for Spring 2015, but application-wise, the pieces may not be on par with the high standards I have come to expect.